Note: please place a unique beginning of the round marker before you place your other stitch markers. Here’s more detailed measurements about the sizes. 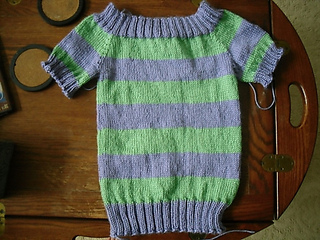 These measurements were taken while the raglan was laying flat. “Wide” will be half the circumference. NEW!!!! This pattern is translated into French & Spanish! 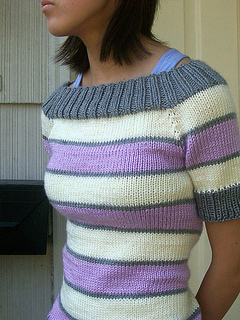 Please note that in the original pattern, it has an almost 1/2 arm-long sleeve, and has thick stripes running along the sweater…but like in the many projects that has been done…there is so many different things you can do to this sweater to make it unique! 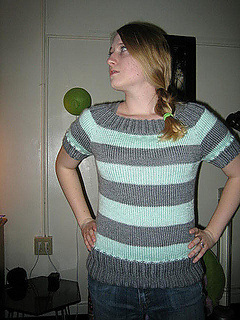 This boatneck is a little loose. 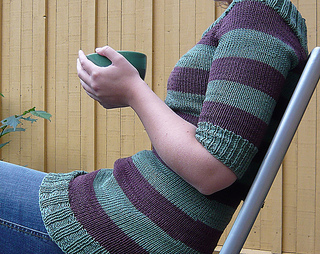 For a TIGHTER boat-neck, go down on the needle size for the ribbing. 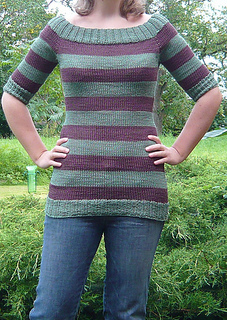 Acrylic yarn is great for the bank, but if you want a sweater that will really last, choose a soft wool. 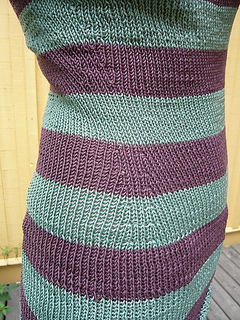 It’s not as “washable” ( you’ll always have to be careful not to felt it), but it will hold it’s shape the most. 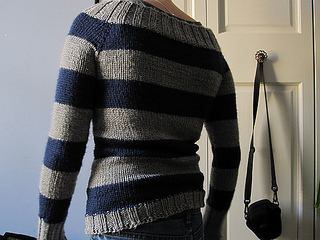 Please, please take note that in the pattern, it specifically asks you to try on the raglan when you are doing the yoke, and as you go along. Everyone’s body is different, and you can make it fit like a glove on you if you try it on and judge whether or not you need more increases/decreases in the designated spots. 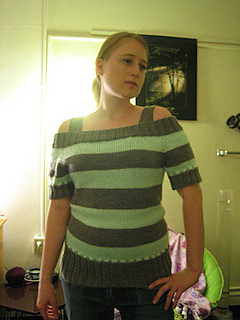 This pattern doesn’t have a main pattern (it’s just stockinette stitch), so you won’t really have to be too concerned about how many stitches you have or need, just as long as it fits you right (and you are doing increases/decreases equally around the stitch markers..you don’t want a lopsided garment). 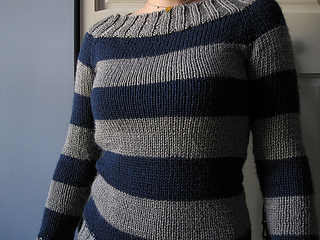 EX: if you have a big bust, but normal-sized arms…do less arm increases but keep on doing increases in the front of the sweater.